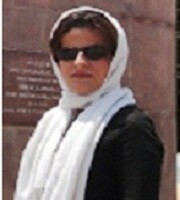 Dr. Mahboobeh Khaleghi is an emerging critic from Iran. She is an authority on Toni Morrison criticism. She has taken her Ph.D. on the topic “A Study of the Novels of Toni Morrison and Gloria Naylor from a Feminist Perspective” at University of Mysore. Mahboobeh has to her credit innumerable publications in reputed international journals and books. She is the co-editor of the book Indian Literatures in English: New Directions, Newer Posibilities. She is in the Advisory and Editorial Boards of several Journals.